What Was Your First Threadless Tee? 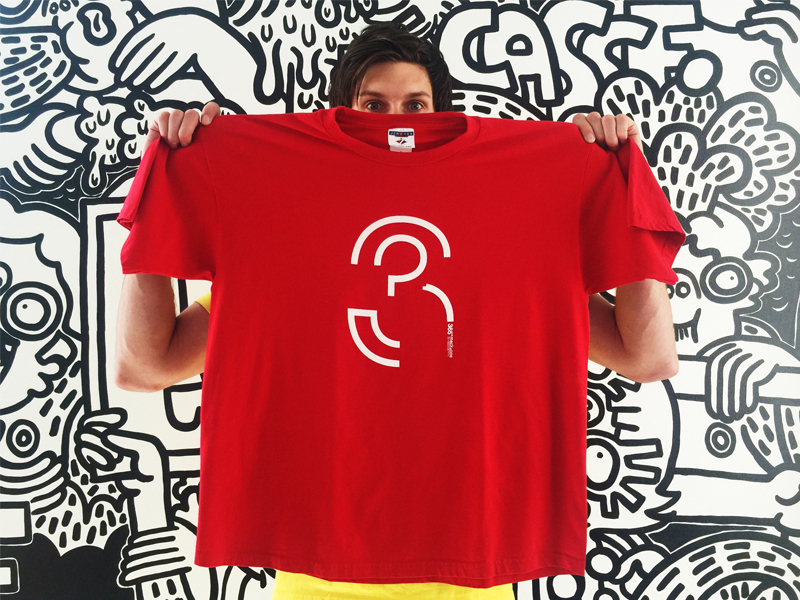 In honor of #TBT, we asked our Threadstaffers here at HQ what their first Threadless tee was. Check out their answers below! I’m pretty sure it was “This is Not a Pipe.” My brother introduced me to Threadless when I moved to Chicago back in 2010 and I remember going to the store on Broadway and picking up a couple, this one being the first one. I have a picture with Chewie and the running fridge to prove it. I wish I could remember how I even stumbled upon Threadless, but I know what drew me to their tees was just how unique the designs were. At that time, I hadn’t seen any other apparel companies offering anything like it and it was refreshing to see. That photo is from 2009 – I’m pretty sure it was my first Threadless tee! This was gifted to me by a good friend and I wore it to death. It was always a good conversation. I guess heartbreak is universal and makes people want to talk to you. But the robot – look how cute and sad it is at the time. I just want to be his friend. At the time I was in college at Purdue and Jake sent me an ICQ message to check out the latest Threadless.com update. At this time, there were only about 12 designs and they were all on the home page. Something about the techy-looking “3” caught my on the red tee and order #134 was placed at 10:46 AM on August 24, 2001. “CTRL Z.” Ordered it early in the days of Threadless. The shirt came with two other shirts in my size that I didn’t order, as well as a hand-written note from Charlie Festa and Mike Halgas, saying hello. They recognized my name from the packing slip and threw me a bunch of extra goodies like stickers. Made a brother smile. I got two tees: “Judith + Holofernes” by Frank Barbara and “99 Luftballons” by Ross Zietz. I think it was 2011 or 2010, and I got it cause my coworker at the time went on shopping spree at Threadless and wore a cool tee every day to work. So I took a note and decided to check out this place with cool tees. I love the artwork of the “Judith” tee – line work and Art Nouveau kinda vibe. And I loved the song “99 Red Balloons” growing up, so that tee was sentimental. Unfortunately I lost “99 Balloons” tee in one of my travels. But the Judith tee made it! “Pillow Fight.” After I moved to Chicago in late 2007, my sister and I got matching tees from this cool local store. Slogging away in the warehouse as a temp, summer of 2008, we were able to snag shirts from the damaged bin. I remember getting a handful, but dug the contrasting colors of this design. Seemed somewhat nondescript and clean, which I dug. My first Threadless photo and my first Threadless tee! Bikes! While still in college, Threadless sent me a small box with few tees, each of which I treated with extreme care and wore with pride. A number of great conversations were started and everyone loved Threadless’ approach to sourcing graphics. I later found out it was a box of misprints and sales duds, but hey, free stuff. First shirt was Bone Idol which unfortunately isn’t currently offered. Like Steve, I got my first Threadless shirts working as a temp in the warehouse back in ’09 #damagebinscore. I wore that damn Bone Idol shirt into the ground. White shirts don’t really hold up when you’re handling dusty boxes all day and generally being a 23-year-old mess. However, I actually may still have it in storage because memories. It was a causes tee – “Many Hands Make the Load Lighter” – that was released right after the earthquake in Haiti in 2010. I’ve been a fan of Threadless for a long time, but always too poor to buy anything. When I got the newsletter that mentioned a portion (or all?) of the sales of that design went to a relief fund for Haiti, I bought it because I felt I was making a difference…and I could justify my purchase. I still have it. Still super comfy. I first found out about Threadless while I was in an acting class in Spring of 2005. One of the students had to do a monologue and was wearing “Afternoon Delight” and everyone couldn’t stop giggling. Finally he stopped and said, “What? They are in love, ok? !” So of course everyone asked where he got the shirt after class. I can’t really remember the first Threadless shirt I ever owned but I think it may have been “The Last Day of Summer.” I still have some of the early tees I used to wear stored away for when my son will be able to fit into them. I first heard about Threadless when shopping in Buffalo Exchange. I started buying several shirts that I really liked the designs of over a few months. I started to notice that the label read “Threadless”. Unfortunately, I don’t remember the name of any of the designs. I can, however, tell you the first Threadless tee I acquired while temping in the warehouse – “FOXY.” I got it for being the best on my team. I got my first batch of Threadless tees for being the best warehouse temp on my team. I was so stoked that I got to pick four! I mean, being broke and loving Threadless, I was in heaven. I still own Bleeding Heart and Keyboard Cat (#rare). Still need to buy your first (or hundred and first) Threadless tee? Shop all of our designs here! Posted in Blog, Fun Stuff and tagged #tbt, art, first threadless tee, geeky, graphic tees, t-shirts, threadless. Bookmark the permalink. What Marvel Character Would You Most Want to Be?